Who do you want to be: a princess? Pirate? Teacher or scientist? And where would you like to play: a castle? Pirate ship? Library or spacelab? It's your decision to make, so think away. Your imagination and thoughts can create pictures and scenes, the most beautiful amazing picturesque dreams! 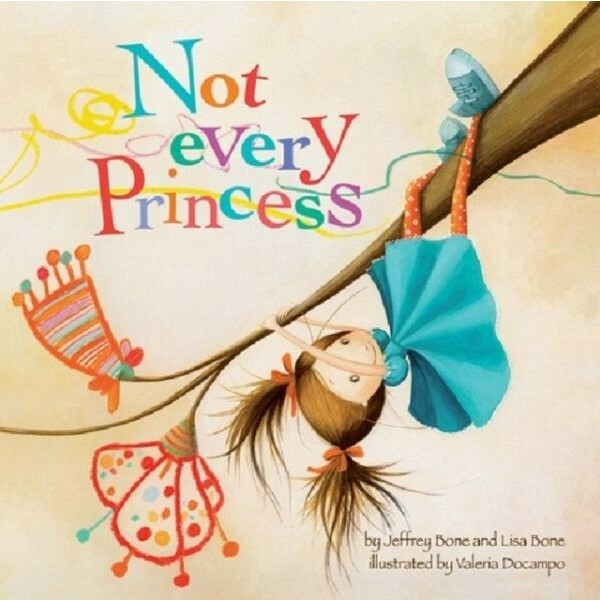 Not Every Princess takes readers on a poetic journey gently questioning the rigid construction of gender roles and inspiring readers to access their imaginations and challenge societal expectations. It intends to encourage all of those princesses and pirates who did not fall into a life of castles and boats that they too are no less than what they dream to be. A Note to Parents provides useful advice and strategies to help children imagine, play, and ultimately envision and inspire themselves beyond the limited roles and expectations that gender stereotypes create.